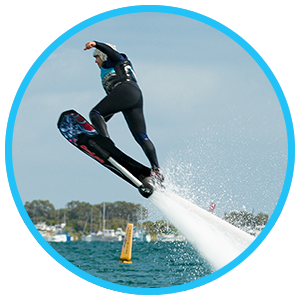 Jetpack Perth - Jetpack, Flyboard, Jetbike and Hoverboard! and spin your day around! and get ready to glide! 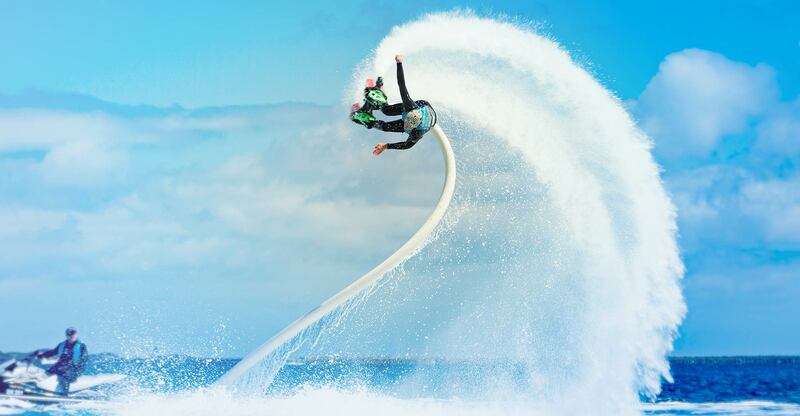 The ultimate jetpack and flyboard experience! 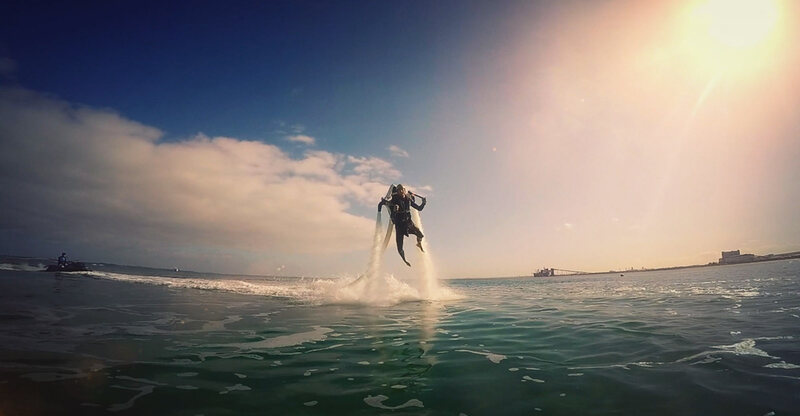 Jetpack Perth is the WA’s first coastal water jet experience. 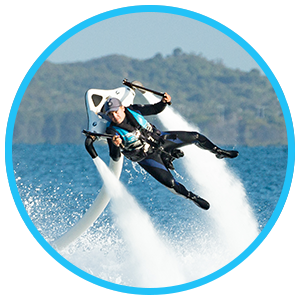 Based in Rockingham Beach, our professional instructors offer a complete hydroflight training for you to get to grips with this ultimate water jetpacks. Now Jetpack Perth is also offering Jet Ski Tours around Garden Island, Shoalwater Island Marine Park and Carnac Island, for more information check our website Jetski Tours Perth. Have you ever wanted to feel what it’s like to fly with a Jetpack? 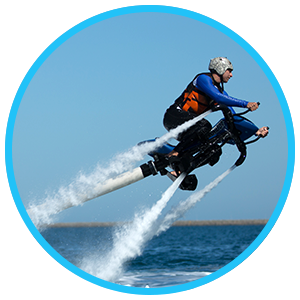 Our water Jetpack works by spraying highly pressurized water into the ocean to keep you in the air. You can do tricks like underwater submarines, walking on water, sharp turns, donuts, and high hovering. Our Jetpack Perth instructor will teach you the ropes and once you get the hang of it the sky is the limit (well, technically 10 metres). 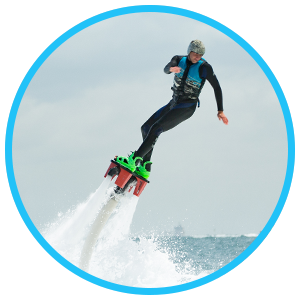 Take flight like a superhero with a flyboard experience that will see you using the power of water below your feet to rise into the air, dive, jump out of the water and perform various freestyle figures. The hydro-propulsion forces offer a unique sensation and a total freedom of movement to the rider. The coolest board you will ever seen. 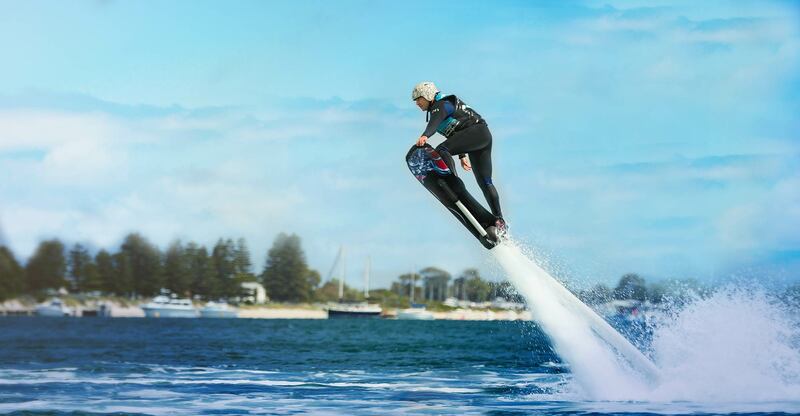 The new Jetbike has arrived to Jetpack Perth. The jetbike has got to the be the easiest way yet to get air time. 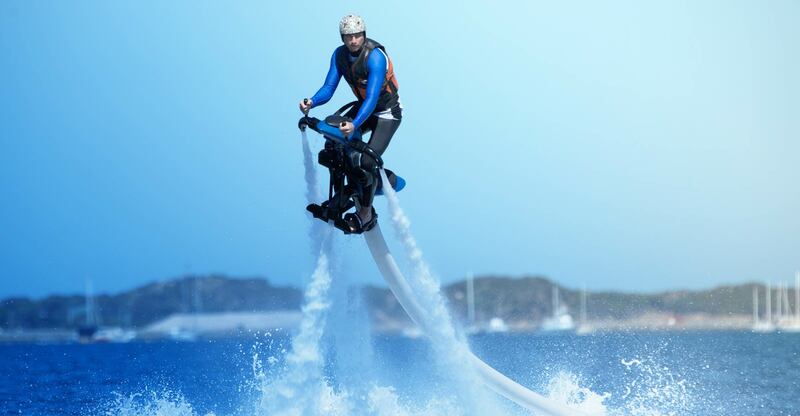 And no, there’s no pedaling involved, this jetbike is all water-powered! 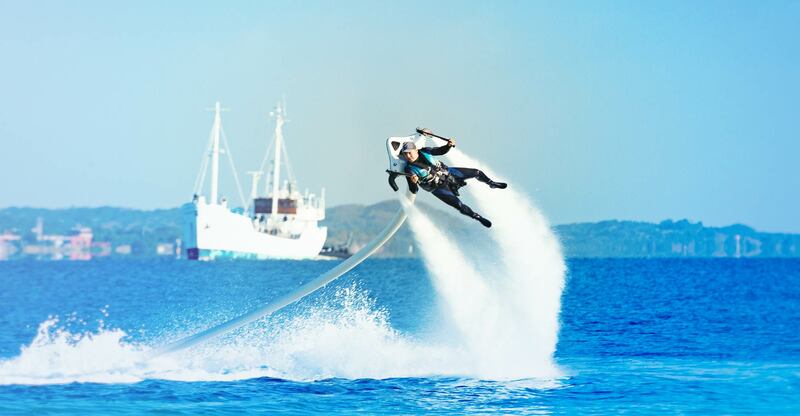 If you still think the jetpack, flyboard or hoverboard are too difficult for your capabilities. We have the easiest hydroflight device available on the market. If you can ride a bike, you can ride the Jetbike.